Today's theme is "Building a Basketall Program". This is the time of the year when coaches are securing new coaching positions, or are reflecting back on their past season and try to figure out how to build a successful program. This discussion is primarily about high school programs. College programs involve many other things such are recruiting, fund-raising, program promotion and others. These questions are not meant to scare you away! We need dedicated coaches willing to help young people down the right path, while teaching the game of basketball. Taking over a program... First, make sure you have the support of administration. Taking over a successful program... perhaps the old, beloved coach just retired. You may feel more pressure to win in taking over this kind of a program. You may feel more strapped into following a certain style of play... the style that has been successful here for the past number of years. Of course the advantage of taking over such a program is that much is already in place. Talent is there, community pride and support, and that winning attitude are already on board. Players know what it's like to work hard, and will work in the off-season. Having a "system"... Here we are talking about your basketball coaching philosophy. How do you want to play the game... fast tempo, full-court pressing, or more of a slow-down deliberate style. Or are you willing to completely change from year to year based on the talent you have? Whatever is your style, you must have your own "system". Teach this system all the way through your program, including at the junior varsity and freshmen levels. Selecting coaches, assistants, creating your organization... Hopefully your school's administration will allow you to have major input in selecting the junior varsity and freshmen coaches, and will allow you to select your own volunteer assistants. A very large part of developing a successful basketball program is surrounding yourself with good people who share the same coaching philosophy, the same passion for the game, are knowledgeable, and above all, are loyal to you and want to help you succeed (see "The Assistant Coach"), and not undermine your efforts. You are the head of the program. Tell people what you want, what you expect, what type of basketball system should be taught to younger players, etc. But don't try to do it all yourself! You would be surprised how many people are willing to help you as volunteers. Use your resources, involve others. You need assistants, managers, statisticians, camera-film guys, someone to run the clock, and someone to do the scorebook. You need an announcer, and someone to organize the music at games, and someone to run the concession stand. Get your middle school coaches on board and involved. Meet with them before the season starts and point out the things that you would like taught to the younger kids. But don't stifle their own coaching creativity. Part of the fun in coaching is putting in a few of your own plays and strategies. In fact, be open to ideas and you might learn a trick or two from them. There will be some knowledgeable parents who want to help. Oftentimes, they will be willing to help in coaching youth teams in your community. Meet with them and explain what you would like the kids to learn. Put on a coaching clinic to help them. Developing talent and work ethic... It starts with teaching fundamentals and having a good work ethic, beginning in youth and middle school practices and progressing up. Planning practices is vital. We start with little kids clinics, 2nd-4th graders (boys and girls). Summer camps, team camps, individual camps are all important. We encourage the kids to just get out in the driveway and practice outside when the weather is nice. Building a "legacy"... after you begin achieving some success and have a few winning seasons, you want to promote this from year to year and keep it going. We talk about developing our legacy... not just one or two good teams, but good teams year after year. Former players will come back from time to time to watch a game, or to practice with us, or scrimmage against us... graduates are still part of our basketball family. Other important aspects are setting goals and communication. See this article "Building a Basketball Program" for a more detailed discussion. Lastly, maintain balance... The late coach Al McGuire once said, "Don't let coaching become your mistress." In other words, maintain balance in your life and don't always choose basketball over your family, and everything else. Also remember that at the high school and middle school levels, kids and parents may not be as fanatical about basketball as you are. It's not like a college program where players must "love it" or hit the road. Allow them to be kids and have balance in their own lives. High Low Triangle Offense... ... detailed article from Coach Lason Perkins' DVD - offense for attacking both man-to-man and zones. 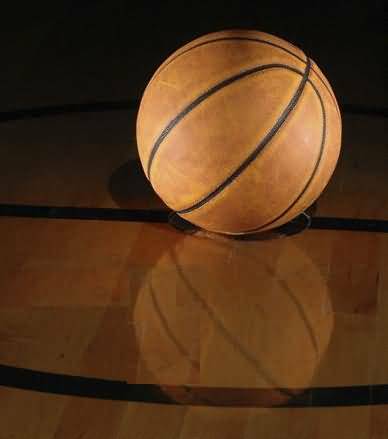 Off-Season Basketball Workouts... planning off-season workouts by Courtney Campbell. New animations, "Pete Carril's Princeton Offense", "Hubie Brown's Hawk Offense", "Michigan-Style 2-Guard Offense", "Grinnell Offense", "West Coast 1-4 Stack Offense", "John Wooden's UCLA Offense" are now available in the Premium Members section and Deluxe CD! 31 new basketball DVDs added to the Coach's Clipboard Basketball DVD store... from Mike Krzyzewski, Bob Knight, Jim Boeheim, John Calipari, and others. From legendary coach Jerry Krause... "3 Essential Building Blocks Every Kids Basketball Coach Should Master!" These three building blocks include footwork, ball-handling and shooting. Drills and strategies are included (+ 25 Wacky Basketball Games Bonus). Time to Raise Funds for your Team/Club?